A map of all 169 towns in Connecticut, including consolidated city-towns. Review by Peep on 7/27/2017. Nice map of the best state! Review by Phakh Gokhn on 7/29/2017. Some superbonus icons in the North are partially invisible. 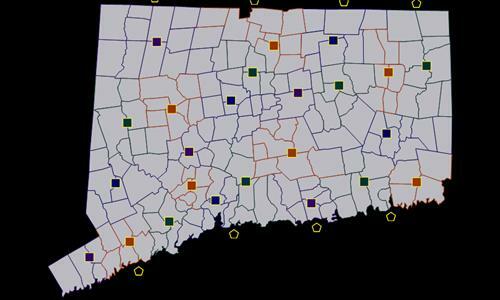 Litchfield County doesn't show income number and you have to click on it to see it. This could be abused by some players, so I suggest fixing this issue. Review by [NL] Hendrik on 7/27/2017. Review by Daryle on 8/3/2017. Cool Map very fun to play. Review by A_B3 on 8/21/2017. Neither too large nor too small - Playable. But nothing special either.